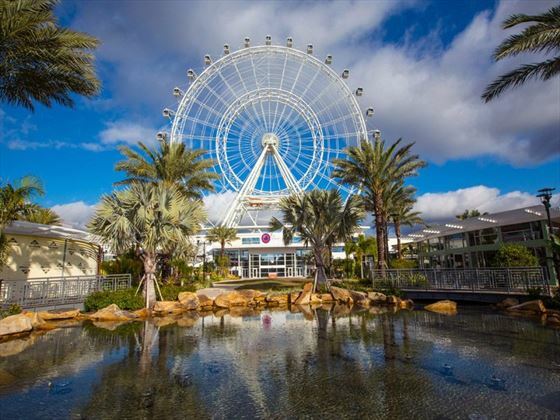 Located at the Icon Orlando 360 experience in the heart of I Drive. We can now offer this very unique wedding location. 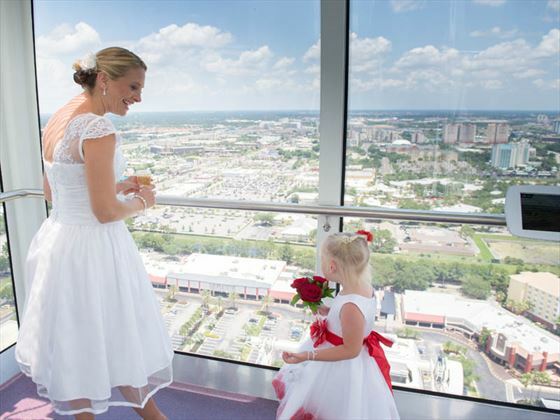 Bride & groom plus 6 of your closest friends and family can hop upon your own private capsule for a unique ride with great views of Orlando. 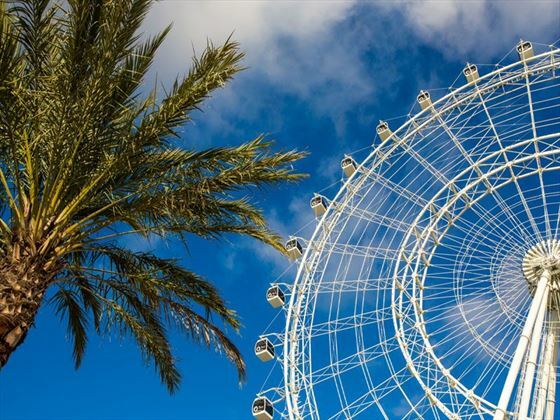 Take a moment to escape, and discover the magic and natural wonder Orlando has to offer from above. 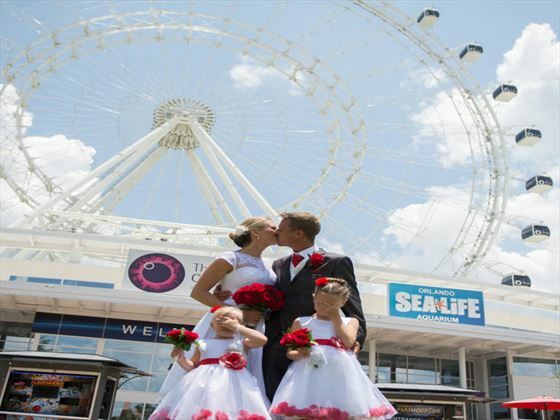 Your own private capsule for your wedding ceremony, located in the heart of I Drive. 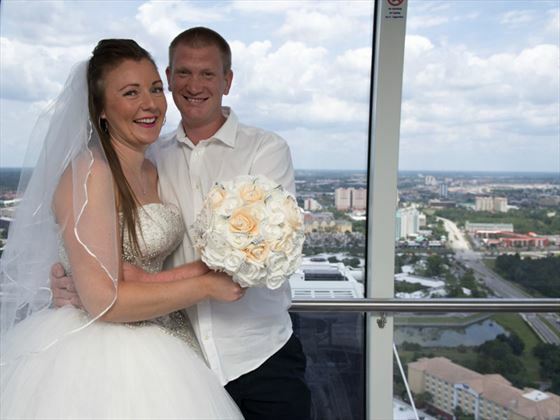 Bride & Groom plus 6 of your closest friends and family can hop upon your own private capsule for a unique ride with great views of Orlando. 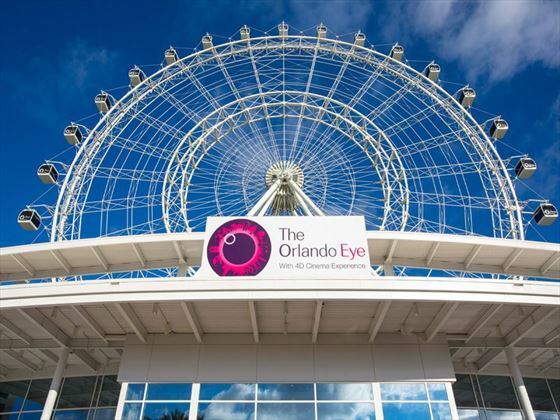 Be effortlessly lifted away to see Orlando in a way you’ve never seen it before. 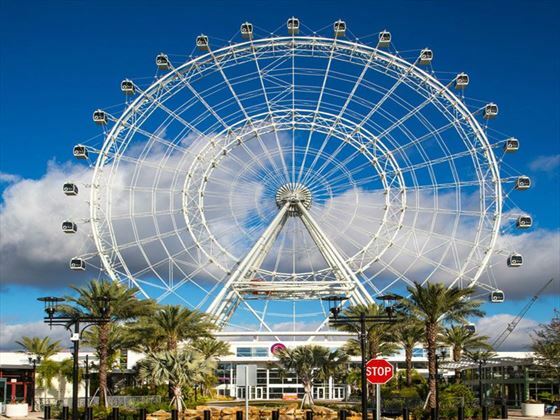 Breath-taking views of theme parks, lakes and lush landscape, and on a clear day, views of Cape Canaveral. Weddings performed Monday through Thursday between 12pm - 3pm. Sunset wedding available for extra fee. At least 24 hours before your wedding day you need to apply for a Florida marriage licence. This is a very simple process which you can complete as a couple together either by attending a local courthouse once you arrive, or by mail prior to your arrival in Florida. The cost of the wedding licence is not included in the cost of your wedding package. The cost of the licence is US$93.50. Please bear in mind your private capsule allows for up to 8 people (including Bride & Groom) so if you would like to use the photographer, they will be included within the maximum 8. Application and Fee - As a couple you now have the choice of courthouses to apply for your marriage licence in person Orange County, Osceola and Lake Country. Applications are accepted between 8am – 4pm Monday to Friday, except for Bank Holidays. Applications can also be arranged vis mail prior to your arrival in Florida. The current fee for a marriage licence is $93.50 Orange County, $103.50 Osceola County, payable by visa, MasterCard or cash $93.50 Lake Country payable by cash only. Distance is approximately 20 minutes form International Drive / 35 minutes from Lake Buena Vista. Distance is approximately 20 minutes from Disney area / 35 minutes from Highway 27 area. The marriage licence is valid for 60 days from the day of issue. The Marriage licence has to be shown to the Notary or Minister prior to the ceremony, to ensure all legal requirements have been fulfilled. The Notary or Minister will then be responsible for posting the Marriage licence back to the courthouse to have it validated. This will become the official Marriage Certificate. This process should take between 4 – 6 weeks and will be posted directly back to the couple’s home address. 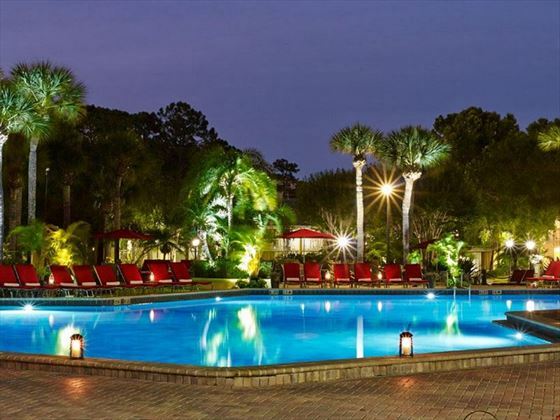 These are three of our favourite hotels in Orlando which are ideal for a wedding or honeymoon, but there are plenty of other great options available to choose from - please call us for details. 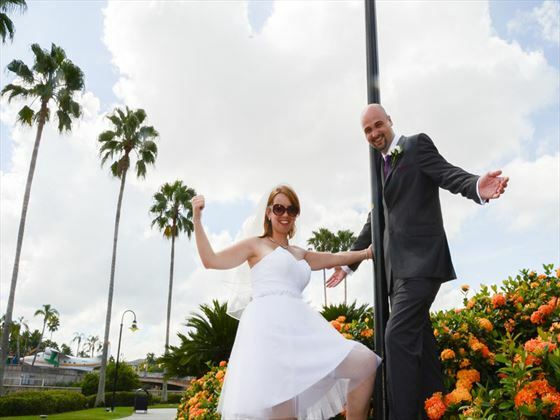 Why book your Orlando Wedding with American Sky?